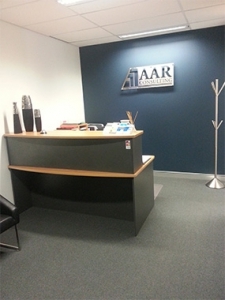 AAR Consulting is a boutique accounting firm which places a strong emphasis on maintaining strong professional relationships with our clients. Our team has the understanding to guide clients using their considerable knowledge of taxation, business management and the resources of our affiliations. Peter Rasano and Rita Rasano head AAR Consulting’s team, with support staff including Kathryn Fernandes, Jesuloluwa Kilanko, Christine Lim, Lauren Tubman and administrative support from Kristy Whiting, Charlotte Simpson and Shatika Woolman. Combined our team has over 15 years of experience and yet we are a young and energetic team who enjoy challenges and making our clients proficient and successful in their chosen field. All our accountants are of CPA or CA qualified or currently undertaking the CPA or CA program to attain this status. Rita Rasano has extensive experience in the area of Business Services, Business Mentoring and Taxation. She is a Certified Practising Accountant and holds a Public Practice Certificate. Rita also spent some time as a Member on the Public Accountants Committee, CPA Australia, Western Australian division. Peter Rasano is the Business Services Manager of the Practice. He has extensive experience in the area of Business Services and Taxation. Peter is a Certified Practising Accountant who also has experience in company secretarial duties.